It appears as if my goals were a bit too lofty last night. 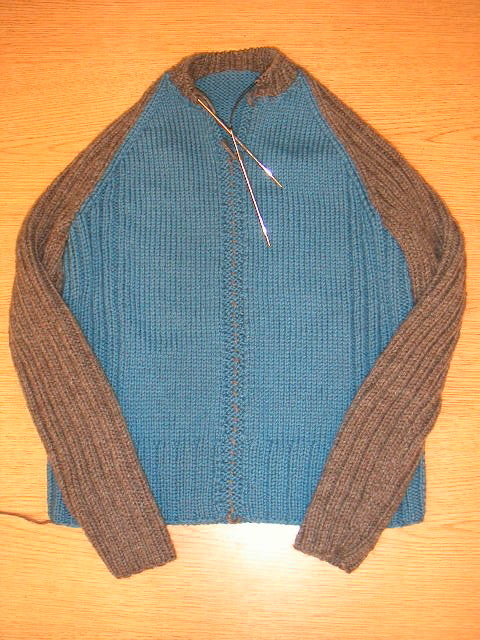 I sewed the sleeves on the cardi and basted the front opening closed, but didn't actually sew in the zipper. After rereading the directions, the last thing to be done is the zipper. So, I started the collar instead. Thanks to those who gave me information for the online zipper sources. But, of course, I couldn't wait a few days for a zipper to come in the mail. I needed it NOW!